While Research Methods in Psychology is fairly traditional— making it easy for you to use with your existing courses — it also emphasizes a fundamental idea that is often lost on undergraduates: research methods are not a peripheral concern in our discipline; they are central. 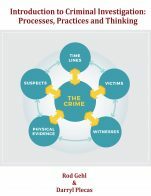 The overarching goal of this textbook is to present the basics of psychological research methods — focusing on the concepts and skills that are most widely shared within the discipline — emphasizing both their centrality to our field and their contribution to our understanding of human behavior. The book will include several features that will help accomplish this overarching goal. Research Methods in Psychology by Paul Price, California State University, Fresno is licensed under a Creative Commons Attribution-NonCommercial-ShareAlike 4.0 International License, except where otherwise noted. The text is well organized and written, integrates excellent pedagogical features, and covers all of the traditional areas of the topic admirably. The final two chapters provide a good bridge between the research methods course and the follow-up course on behavioural statistics. The text integrates real psychological measures, harnesses students’ existing knowledge from introductory psychology, includes well-chosen examples from real life and research, and even includes a very practical chapter on the use of APA style for writing and referencing. On the other hand, it does not include a table of contents or an index, both of which are highly desirable. The one chapter that requires significant revision is Chapter 3 (Research Ethics), which is based on the US codes of ethics (e.g., Federal policy & APA code) and does not include any mention of the Canadian Tri-Council Policy Statement. The text is up-to-date and will not soon lose relevance. The only things I would add are a brief discussion of the contemporary case of Diederik Stapel’s research fraud in the chapter on Research Ethics, as well as some research concerning the external validity of web-based studies (e.g., Gosling et al.’s 2004 article in American Psychologist). Overall, the style of writing makes this text highly accessible. The writing flows well, is well organized, and includes excellent, detailed, and clear examples and explanations for concepts. The examples often build on concepts or theories students would have covered in their introductory psychology course. 1. When discussing z scores on page 311 it might have been helpful to point out that the mean and SD for a set of calculated z scores are 0 and 1 respectively. Good students will come to this realization themselves, but it is not a bad thing to point it out nonetheless. 2. The introduction of the concept of multiple regression might be difficult for some students to grasp. 3. The only place where I felt short of an explanation was in the use of a research example to demonstrate the use of a line graph on page 318. In this case the explanation in question does not pertain to the line graph itself but the result of the study used, which is so fascinating that students will wish for the researchers’ explanation for it. The text is organized very well into chapters, modules within each chapter, and learning objectives within each module. Each module also includes useful exercises that help consolidate learning. As mentioned earlier, the style of writing makes this text highly accessible. The writing flows well, is well organized, and includes excellent, detailed, and clear examples and explanations for concepts. The examples often build on concepts or theories students would have covered in their introductory psychology course. The images, graphs, and charts are clear. The only serious issues that hamper navigation are the lack of a table of contents and an index. Many of the graphs will need to be printed in colour (or otherwise modified) for the students to follow the explanations provided in the text. The text is written rather well and is free from grammatical errors. Of course, spellings are in the US convention. The text is not culturally insensitive or offensive. Of course, it is not a Canadian edition and so many of the examples (all of which are easy to comprehend) come from a US context. I have covered most of these issues in my earlier comments. The only things left to mention are that the author should have clearly distinguished between mundane and psychological realism, and that, in my opinion, the threats to internal validity could have been grouped together and might have been closer to an exhaustive list. The content of the text sufficiently covers the same material that would typically be found in an introductory research methods textbook from a large publishing house. Many, if not all, of the fundamental concepts in psychological research that a student would be expected to know are presented within text. These include, but are not limited to: the characteristics of a science, the scientific method in psychology, the role of theory and observation in psychology, research ethics, defining and measuring variables, the essential features of experimental, quasi-experimental, correlational, descriptive, multivariate, and factorial research designs, how to conduct survey research, the characteristics of case studies and single-subject designs, APA style, and an overview of descriptive and inferential statistics. Section 9.2 on constructing survey questionnaires, Section 11.2 on writing an APA-style research report, and Section 13.3 on the limitations of null hypothesis testing are particularly noteworthy features of the text. These topics are of considerable importance to novice researchers, but are overlooked in some research methods textbooks. It should be noted that this text is structured for a research methods course, as opposed to an introduction to statistics course or a yoked research methods and statistics course. 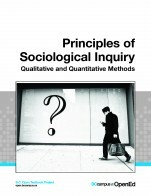 While the text does include two chapters on descriptive and inferential statistics, and there are brief discussions of advanced statistical techniques such as multiple regression or factor analysis, the content of these chapters does not reach sufficient depth to warrant using this text to teach statistics for the behavioural sciences. The text lacks a table of contents, an index, and a glossary, which makes searching for specific concepts somewhat cumbersome. This is a relatively minor limitation, however, as readers could simply use the “find” command that is available in most software. In general, the content, diagrams, and computations are accurate, error-free, and without bias. Importantly, the text acknowledges the on-going debate and controversy surrounding null hypothesis testing, and discusses alternatives to the null-hypothesis testing framework. (Pg. 361) are missing the division symbol. For instance, the formula for z should be: z = X – M / SD rather than z = X-MSD. This, however, could be due to a software issue. The sample calculations for standard deviation in Table 12.3 (Pg. 210) contain a typo. The sum of the squared deviations does not equal 288 but rather 28. In general, research methods content remains relatively static compared to other fields of the behavioural sciences. The essential features of most research designs are unlikely to change anytime soon. As such, the main content of the text, by default, is up-to-date. The text does make an effort to discuss contemporary research in psychology. Examples of important research concepts are often framed using relatively recent studies. Updates could be easily incorporated into the text by simply revising the research examples. Perhaps the most pressing issue in contemporary research methods is the role of null hypothesis testing. There is now a general consensus among research practitioners that alternatives to null hypothesis testing, statistical power, and effect size should be considered when designing a study and analyzing data. The text adequately presents these issues at level that is suitable for a novice. The text is written for a novice. It does not assume that the reader has a background in statistics or research methods. New concepts are introduced in a natural and logical manner. For instance, most chapters begin with an engaging description of a research scenario in psychology. The scenario is used to frame the content of that chapter, and new concepts are introduced in reference to that research scenario. The author makes the effort to clearly and concisely present research findings in psychology without getting lost in the technical details. This has the added benefit of informing students of fascinating findings in psychology, while at the same time, providing an introduction to the fundamentals of research in psychology. 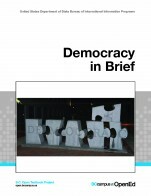 Overall, the text is well written and the content is presented in a clear and engaging manner. The text is internally consistent. It begins with an overview of the characteristics of science, and then proceeds to examine how psychologists integrate these characteristics into their research practice. Once the main characteristics of various research designs have been presented, the text then outlines how to present results and analyze data. Students are also provided with a step-by-step guide on writing an APA-style research report. All of these topics are logically consistent with one another and follow a natural framework for teaching research methods. Each chapter is largely self-contained, and makes use of logically delineated sub-sections. The chapters could be easily assigned in isolation or re-organized according to the demands of a particular instructor. However, research methods content is hierarchical and cumulative in nature, such that grasping higher level concepts (e.g. factorial designs) depends on understanding lower-level concepts (e.g. experimental research). The text is aware of this fact, and does incorporate an over-arching cumulative structure to the material. For instance, the characteristics of single-factor experimental designs are presented first, followed by more complex factorial designs. As mentioned above, the structure of the text follows a clear and logical sequence, beginning with describing science in general, and then the science of psychology in particular. The text makes use of so-called ‘advanced organizers’, such as emphasizing keywords using bold font, beginning each chapter section with a clearly stated learning objectives, and concludes each chapter section with a summary of key points. These features facilitate navigation of the text. Some of the text that is embedded in charts, tables, and graphics appears blurry, pixelated, or distorted. For example, the text in Figure 5.1 (Pg. 107) is not as clear as the text in the main paragraphs. Aside from this minor issue, the interface is straightforward and easily accessible. Chapters, chapter sub-sections, learning objects, key takeaways, learning exercises, and suggested readings are clearly delineated, which makes the text easy to navigate. The reviewer did not find any obvious grammatical errors. If errors are present, they infrequent and minor. While the text is not culturally insensitive or offensive, it is written for an American audience. 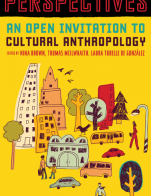 The research examples presented in the text predominantly rely on American populations, and some of the practice questions reference American cultural idiosyncrasies (e.g. SAT scores). 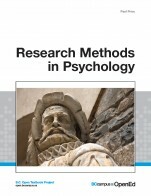 Overall, this book is an appropriate introductory text to research methods in psychology. The content could easily be adapted to a Canadian context by simply including studies and examples that reflect psychological research in Canada.